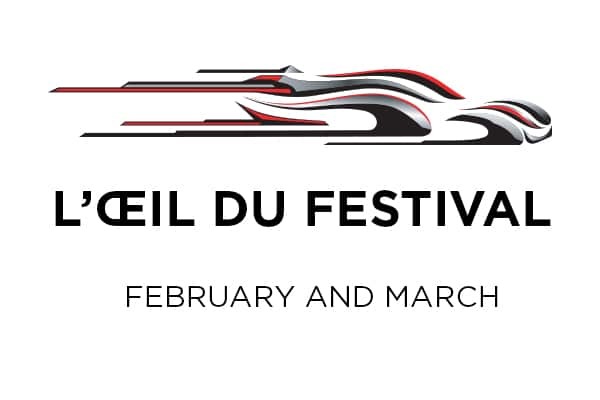 As usual, the Pebble Beach Concours d’Elégance attracted several manufacturers who came to present their new concept cars. 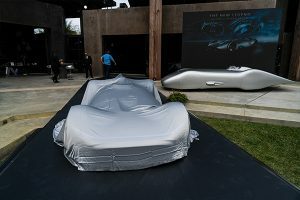 The 2018 edition, which was held at the end of August, was the setting for three world premières, the most spectacular of which was the Mercedes Vision EQ Silver Arrow. Daimler had accustomed us to its extravagant designs. 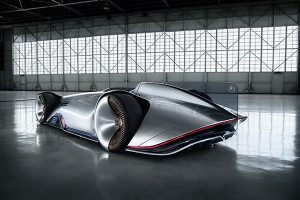 In 2016 and 2017, the prestigious concours at Pebble Beach in California was the backdrop for the presentation of its Mercedes-Maybach Vision 6 Coupé and Cabriolet. 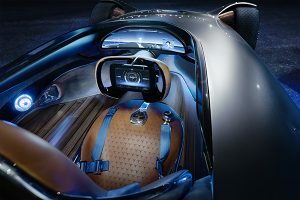 Visitors to the Concept Cars Exhibition held at the Invalides in Paris in January 2018 were also able to see the Cabriolet’s extraordinary dimensions for themselves. 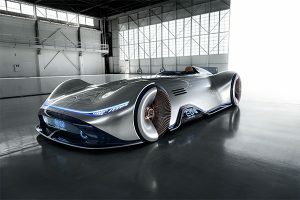 With its Vision EQ Silver Arrow project, Mercedes was as outrageous as ever, but changed direction to pay tribute to an important chapter from its glorious past in motorsport, and specifically the period just before the Second World War. Between 1934 and 1939, Mercedes-Benz flew the flag for Germany, not only in Grand Prix races, but also in speed record attempts. In both disciplines, Auto Union and Mercedes-Benz fought each other tooth and nail. At the time, Germany showed off its modern transport links, and in particular its motorway network – which was unique in Europe – to increase its prestige. But it could also be inferred that the Autobahnen (motorways) could if necessary be used as aircraft landing strips … The long, well-protected straights which were unique to these motorways were the setting for some memorable battles between the two carmakers as they sought to beat the existing speed records. 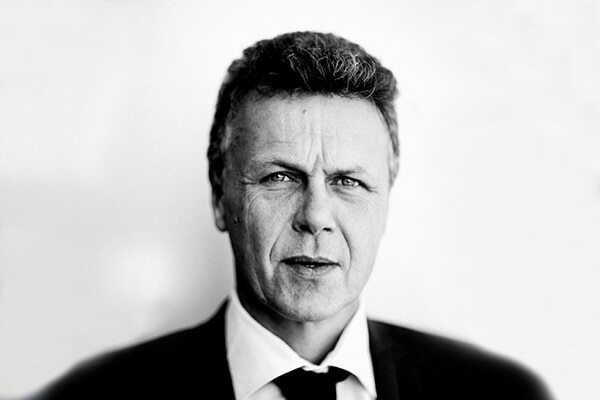 The impetus from these efforts also multiplied the manufacturers’ creativity when it came to their production models. Mercedes-Benz produced an ‘Autobahn-Kurier’ version of its 500 K, while Adler developed a ‘Trumpf Reichs-Autobahn-Wagen’. 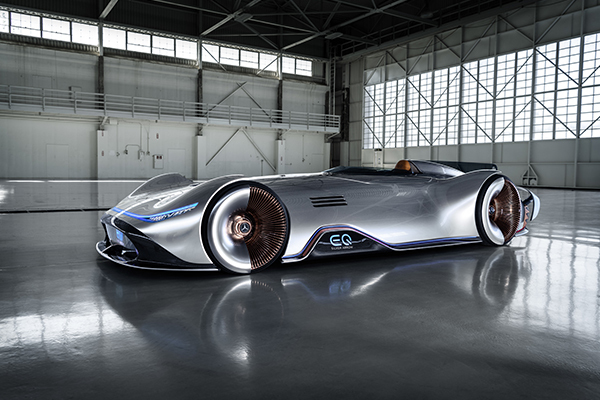 It was this extraordinary machine which inspired – in spirit and in name – the Vision EQ Silver Arrow shown at Pebble Beach. 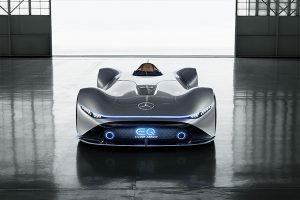 The goal of the project was to create an image for the EQ division devoted to Mercedes’ electric models, which had just unveiled its first commercial model, the EQC, revealed in Stockholm on 4 September. The proportions of the Silver Arrow recall the W125 single-seater from 1937. Its aluminium grey paintwork brings to mind the Silver Arrows (which were left unpainted to save weight), but the cockpit resorts to traditional luxury materials with brown leather, polished aluminium and solid walnut. The digital instruments and controls, on the other hand, bring us into today’s world with the driver’s environment projected onto a panoramic screen and a touchscreen integrated into the steering wheel. 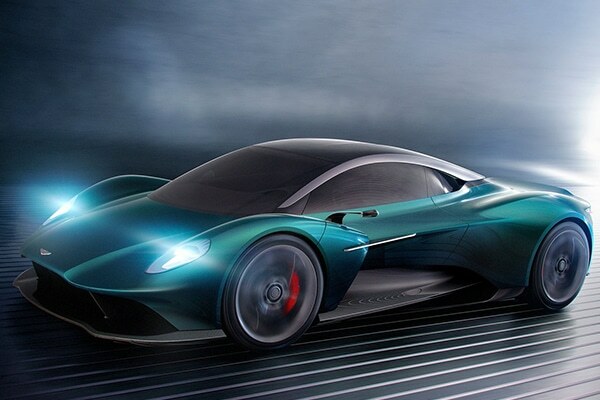 The entire bodyshell is made from carbon fibre, while additional parts such as the front spoiler or side sills are accentuated by a strip of light. The wheels comprise 168 aluminium spokes, finished in a pink gold colour which is intended to identify the EQ models. The Silver Arrow is not a racing car, but has some features taken from racing, in particular its tyres, which are enormous slicks (255/25 R 24 at the front and 305/25 R 26 at the rear). 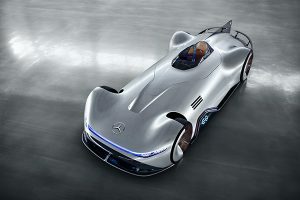 Its aerodynamic equipment also benefits from Mercedes’ experience in motorsport. This can be seen near the rear diffuser where two spoilers extend to act as air brakes. 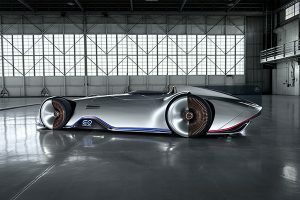 The Silver Arrow is powered by an electric drivetrain developing 750bhp. 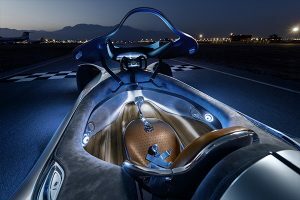 The battery, mounted in the underbody, offers a theoretical range of more than 400km (250 miles). Who said that electric cars had to be austere?